Decor Musings: In terms of decorating, what should people keep in mind for spring? Ashlina Kaposta: Wood is on-trend right now. I'm seeing a lot of looks incorporating exposed wood. Pink, especially along the lines of watermelon and pomegranate, is also another trend I'm seeing. DM: Is there one item people should invest in? AK: It's so hard to pinpoint one item, but amazing artwork is key. DM: What advice would you give to people who are looking for a better sense of direction with their decorating plan? AK: When I'm working with a client, I like to examine their color scheme and see what mood they want to convey with their home. Do they want a spa-like feel or a hotel vibe, for instance? Another thing I've noticed that's missing from many people's homes is fabric. I like to dress windows with curtains, incorporate wallpaper and a nice rug. I love to work textiles into a space. DM: Can you share some of your go-to sources for home products? AK: I love a one-of-a-kind find so 1stDibs is perfect for this reason. HomeGoods does a good of making the hottest items available to people at affordable price points. I also like ABC Carpet & Home in Manhattan, all the little vintage shops in the Nolita area and the flea market in Chelsea. 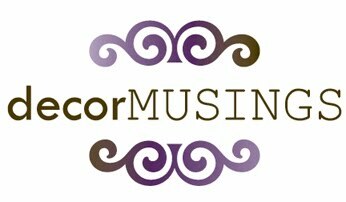 DM: You've done very well with your blog, The Decorista. What advice would you give to an up-and-coming design blogger? AK: My advice would be to find what you love and write about it. Get out there, take pictures and try to find something unique. I like bloggers who discover things I'm unfamiliar with. Also, if you want to make your blog accessible, posting once a week isn't going to help. DM: What's next for you? Any exciting projects coming up? AK: I'm actually working on an e-book about how to turn your blog into a business. It will be available at the end of April.